Meet Danielle...she's my BFF and has been for 11 years even though we now live 3500 miles apart. 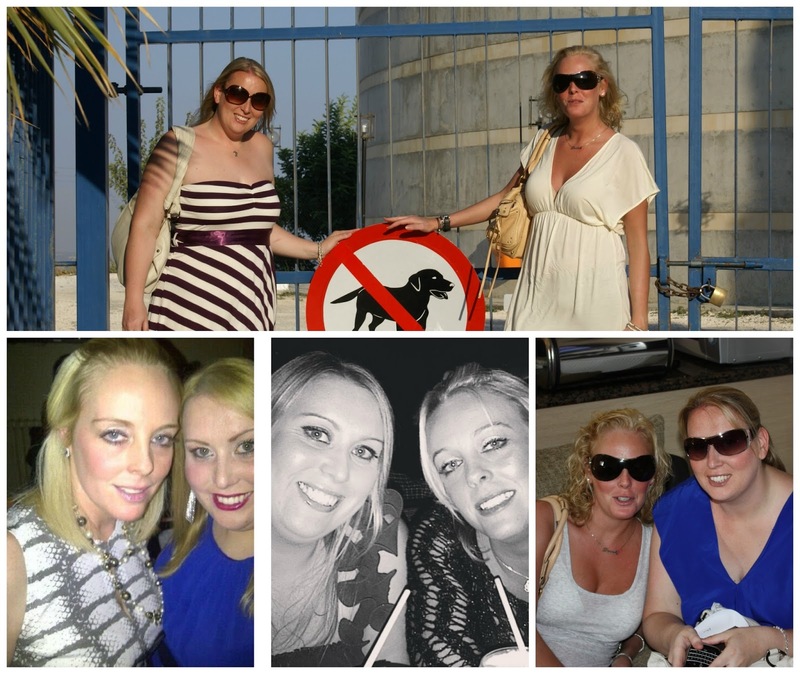 We've had so many great times and been on holiday together to Vegas, Cyprus and Cornwall and spent lots of time together between London and Dubai. And slowly slowly I have converted her into almost as big a beauty junkie as I am. When I was recently in London I asked her to select her top 10 beauty products of the moment so I could share them in this post. In no particular order here are her 10 top current fave beauty picks. Hoola is Dani's bronzer of choice because she says it makes her brown rather than orange and she loves the matte finish on the skin. This is her first box of this cult bronzer but knowing Dani, if she likes it, she'll have already bought three back ups! A new purchase and something Dani describes as a 'summer-ish' blusher, she says she likes the shimmery finish and that this bright orange shade goes well with Champagne Pop. She says she is very light handed with this (I know from personal experience they are very pigmented) and just dabs it lightly on the apples of her cheeks. Danielle says she loves this creamy powder highlight when she is going for a sunkissed look and loves the glow it gives. She uses it sparingly and loves the texture because it's not chalky or glittery. I've actually posted a full review about this lip balm and the lip scrub-read my thoughts here. Fun fact about both Dani and I-we both suffer from Anosmia-or in other words neither of us are able to smell much at all. A bit of a surprise entry here because Dani barely every wears lipstick. Lip balm constantly but never lipstick-lip gloss is usually as good as it gets and that's on a special occasion. But she is obsessed with this Lip Kit and even though this isn't a shade she would normally wear (she is all about the sheer peaches usually) she says she likes to use the liner to slightly overdraw her lip line and fill in her entire lip before going over with the liquid lipstick. She admits it does dry down a little tacky and that it is drying but she also says it's really long lasting and fuss free. This is something I had never even heard of but Danielle says this lip primer really helps to perfect the tone and texture of her lips whilst also softening them. She says she uses it in conjunction with the Charlotte Tilbury lip balm for the perfect pout. Dani says she is really enjoying this newly launched mascara. She loves the fact it is very black and gives her lashes a wet look, whilst elongating and defining. She likes the fact it's easy to build up and it dries quickly but she did tell me that it's not waterproof and it can smudge-this is a complaint I have heard a lot about this mascara. This is a pricey brush at £48 but Dani says it's a great multitasker and she likes the soft 'stubby' bristles. Dani uses it for her bronzer or highlight and loves the fact it's so easy to control how much product gets deposited on her skin. Once a die hard Stila 'Kitten' eyeshadow wearer (we both were, when Stila was removed from the UK a few years ago we used to source the single pans from the States) Dani now prefers something more subtle and wears this matte neutral shadow every single week day-so much so this is her third pan. She likes the fact it 'looks like nothing' because she prefers the 'no make up make up' look for work. She loves the texture as it's very light and this shadow really evens out any discoloration on her eyelid without looking made up. Dani's final current fave is something she has also got me hooked on after giving me some to bring home to Dubai. Dani says she much prefers this to dry shampoo because it doesn't give her the dry, stiff and brittle feel you get from a dry shampoo and this dry conditioner actually makes your hair feel really soft (as well as smelling great). It doesn't have the oil control properties of a dry shampoo but this something you would mist onto mid lengths and ends to condition and add shine. So there are Danielle's current top 10 beauty picks-I like to think I have trained her well. I love the fact she whatsapps me whatever she buys or is finding she loves and yet still messages me randomly saying 'what do I use this for'? Have you used any of Dani's faves? I'd love to know if you and your BFF bond over a love of all things beauty related?